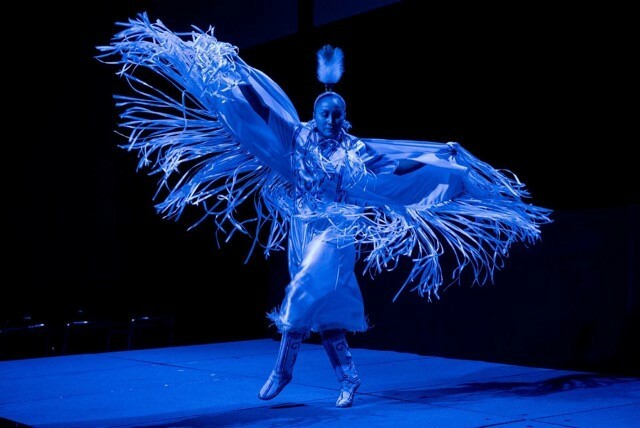 National Aboriginal Day, also known as National Indigenous Peoples Day, on June 21 is an annual opportunity to honour and celebrate the diverse cultures of First Nations, Métis and Inuit peoples. Indigenous peoples will be celebrating in their communities, and graciously sharing their ceremonies, customs, and heritage with others across the country. It is a day we can all stand in solidarity with Indigenous peoples striving to protect and strengthen their cultures, languages, and way of life. Weyburn: Join CUPE Local 5430 Region 4 at Jubliee Park (583 13 Street) from 11:00 am to 4:00 pm for cultural activities, Aboriginal dancers, a free barbeque lunch, and displays. Prince Albert: Join CUPE Local 5430 Region 2 and the Prince Albert Indian Metis Friendship Centre for an all-day celebration at Kinsmen Park. This event includes a barbeque, entertainment, tradition ceremonies, and displays. Regina: Join in the celebrations from 9:00 a.m. to 3:30 p.m. at Victoria Park in downtown Regina. CUPE is committed to working with Indigenous nations, communities, and organizations towards reconciliation. As Canada’s largest union, we acknowledge and respect the rights of Indigenous peoples to their traditional, unceded territories, and to their rights to preserve and protect their cultures and languages. Our union is striving to educate CUPE members on the legacy of the residential school system and the ongoing harm Canada’s assimilationist policies and laws have on Indigenous peoples. At our 2017 National Convention, CUPE members passed a resolution calling for the Federal Government to recognize and honor the Indigenous peoples living in Canada by making National Aboriginal Day a national statutory holiday. As part of our ongoing efforts to foster reconciliation in our workplaces and communities, we encourage all members to support this call, and to join in celebrations taking place across the county. Let’s make June 21 a national statutory holiday. Sign the NDP petition. Read the Truth and Reconciliation Commission’s Final Report and consider how you can support the calls to action. Invite a speaker to your next meeting to talk about truth and reconciliation. Ask for CUPE’s Indigenous Awareness workshop and our human rights course. Make employment equity a bargaining priority. Ensure a workplace that welcomes Indigenous workers by bargaining collective agreement language that responds to their needs. Acknowledge Indigenous territory at all of your meetings and reach out and forge partnerships with local Indigenous communities and organizations. Sponsor and promote Indigenous events and advocacy.